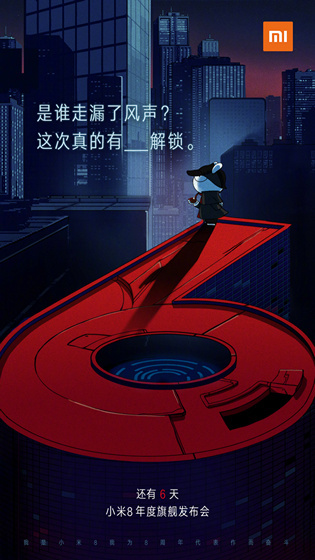 Xiaomi is expected to launch its next-gen flagship Mi 8 next week, and a steady stream of leaks over the past few weeks have revealed much of the key specs of the upcoming device. Alleged leaked images have also shown off the device in all its glory ahead of the official reveal next week. 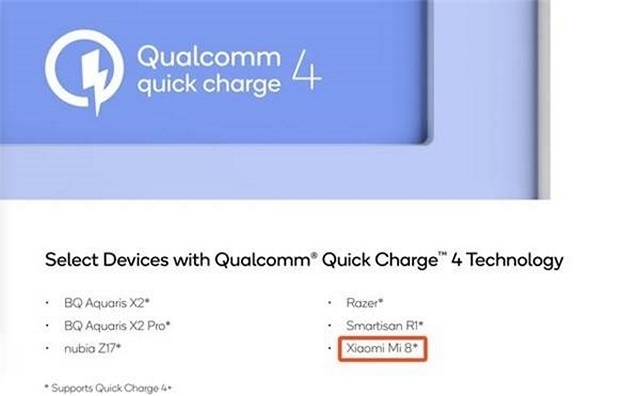 Now, a new document seems to be suggesting that the device may ship with support for Quick Charge 4+, thanks to the presence of the Snapdragon 845 SoC. It isn’t immediately clear what the source of the alleged leaked document is, but a PDF file on Qualcomm’s site currently lists only two smartphones as being compatible with QC4+ : the Nubia Z17 and the Razer Phone. According to GizmoChina, the company also lists a few other handsets, like the BQ Aquaris X2, X2 Pro and the Smartisan R1 as being compatible with the technology, although, we couldn’t find them on the list we checked. Either way, Quick Charge 4+ or not, the headline feature of the Mi 8 is expected to be hardware-based facial recognition, which should make it the first mainstream Android device to offer the functionality. Rumors had already suggested as much earlier this month, but the company itself is now apparently releasing official promos that are seemingly teasing the feature, as can be seen from the image below. The promo is also believed to be teasing the presence of an in-display fingerprint scanner, which should make it one of the very first devices globally to offer the new functionality that can currently be found in the Vivo X21 UD, which is all set to be launched in India on May 29. It’s important to note here that none of the three aforementioned features (QC 4+, in-display fingerprint reader and hardware-based facial recognition) have been confirmed for the Mi 8, but it won’t be a massive surprise if it does ship with at least some of the above.